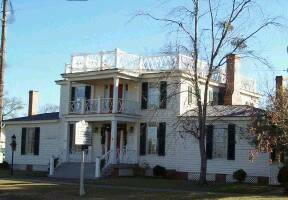 Harmony Hall is the only house of historical significance left standing in Kinston, North Carolina. The site was built in 1772 by Jesse Cobb and his wife, Elizabeth Heritage Cobb, and has served as a residence to prominent historical figures of Lenoir County. Harmony Hall housed the offices of James Glasgow, Secretary of State, until 1781. The State Board of War and other official meetings were held there at this time. 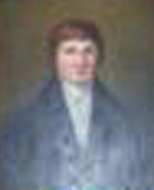 During the Revolutionary period, it was owned by Richard Caswell, First Governor of North Carolina after Independence was gained from Great Britain. The house was also the site of a Civil War Hospital, Church Annex, Public Library, and Women's Club building. The house was remodeled around 1790, again in 1835 and the most recent restoration was completed in 1984. The restored house features a large reception room, called the great room, at the center of the first floor with open fireplaces at each end. The great room is the actual size of the original dwelling built in 1772. This area was enlarged by the addition of wings and rooms in later years. Additions included the ladies parlor, which is furnished with 19th century furnishings reflecting the Victorian era, The dining room is located in the east wing, with a kitchen adjacent to it to accommodate guests. A study occupies the rear of the house. A children's bedroom, the master bedroom, and a museum room which houses and extensive doll collection is located upstairs. Also be sure to check out what books the Lenoir County Historical Association has for sale.